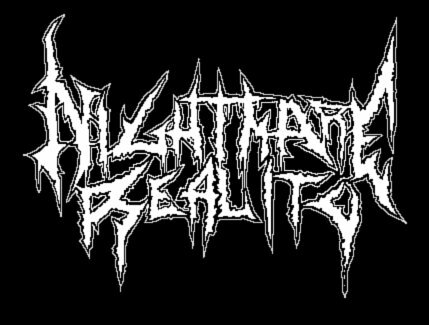 This is the album that started what was to become an incredible catalog of epic metal at its absolute finest, and it wasn't even a heavy metal album. 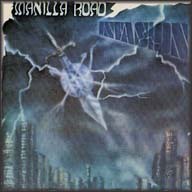 Still, "Invasion," is well worth the time for fans of Manilla Road's other work, as there are plenty of seedlings for what Mark Shelton and (various different) company would later produce in their career. The six tracks on this record could all be considered proto-metal, as the music isn't too different from what bands like Heavy Load, Legend, Rainbow, etc were doing in the late '70s and early '80s, taking the rock n' roll attitude (and some riffs) as well and blending them with a heavier kind of sound. There are also some bits and pieces taken from the psychedelic bands of the time that could be plucked out of certain parts of the songs, but not enough to consider Manilla Road a psychedelic, flower-power band, because these guys were creating music about war games and mighty empires with songs that featured long, intricate compositions and an epic feel that would stick with the band for decades. Aside from the ballad "Centurian War Games," the songs on "Invasion" clock in from five minutes up to thirteen minutes, leaving plenty of room for the Kansas metalheads to leave an impression. There are familiar aspects in just about all of the songs in that they feature Shelton's unique vocal stylings, scores of solos, rockin' riffs and plenty of catchy moments to keep the listener enthralled. The thirteen minute opus "The Empire" is an essential listen for fans of Manilla Road or the epic style in general, as this track set the bar for the longer and more grand style of songs that the band would create later on. Mark Shelton's ability to craft music that flows together perfectly is displayed throughout the album, from the opening "The Dream Goes On," which blends traditional galloping riffage with vibrant rock n' roll styled hooks, to the aforementioned album closer that shifts effortlessly between soothing clean guitars and distorted, uptempo riffs. "Cat and Mouse" is an absolute solo-fest that has probably had many old-timers whipping out their air-guitars, while "Street Jammer" is a fun tune more along the rock n' roll side as evidenced by the riffs. "Invasion" is not the defining album for the prolific Manilla Road, but it was a great starting point for the band and their ever-evolving sound. Having the convenience of being able to listen to this group's latter music and then being able to come back to this record has allowed me to appreciate this one a bit more, because the overall sound of the music is obviously different, but the spirit of the music and the same fantasy-riddled atmosphere is present, having never left the fold from song after song and album after album. This album may not be one that strikes the listener upon the first listen simply because of how different the music is and it isn't necessarily "metal," but after giving it a few spins and letting the music digest, I would find it hard to believe that fans of "Crystal Logic" or "Open the Gates" cannot appreciate this record. "Far Side of the Sun"